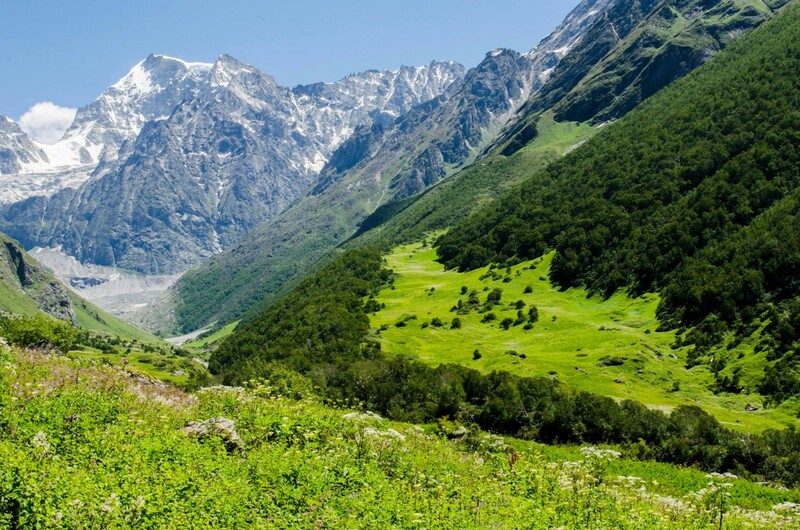 While it’s beautiful all year round, during the monsoon months of June to September, Uttarakhand is absolutely magical. The rains bring all the wildflowers out, the rivers are full and fast, and there’s lush greenery all around. Monsoon treks in Uttarakhand during this time are spectacular. We’re starting with this one because it’s the most gorgeous monsoon trek in Uttarakhand. The peak blooming season in the Valley of Flowers is from July to August. The valley is covered in snow for most of the year, but it melts during the summer, soaking into the ground and sending shoots up through the thawing ground. With the monsoon starting, the humidity in the valley rises, and the wildflowers begin blooming. 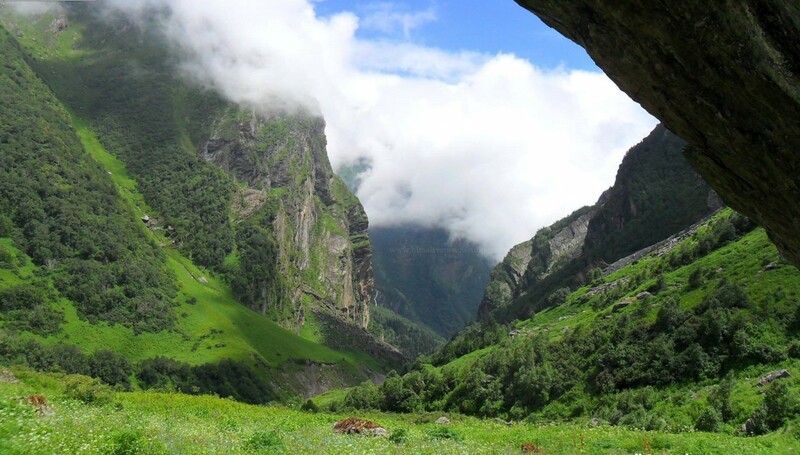 This monsoon trek in Uttarakhand takes you through the Valley of Flowers, with bright flowers filling the views around, cascading waterfalls all around, streams in full spate, and clouds of mist everywhere.